I spent 5 years living, working, and traveling throughout South Africa. My job took me way off the beaten path from dorp to even smaller dorp. 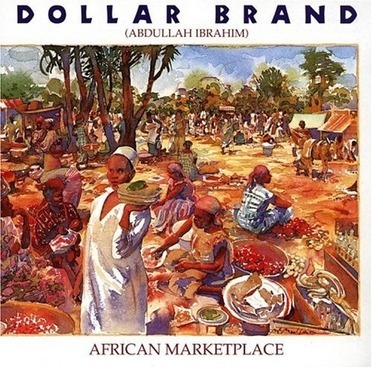 This album was in the cassette player of my car...it too was a dub of a dub of a dub.In rotation with Miriam Makeba, Yvonne Chaka Chaka, Brenda Fassie, Lucky Dube, ....Dollar Brand and the African Jazz Pioneers offered a more "traditional" alternative to the other more "pop" oriented artists. You can't imagine the beauty of this music, the rich culture and the beautiful scenery of rural southern africa. Together they evoke the honesty and sincerity of Ibraham's music. South African music is often slighty off-key,the rythem can be be out of sych.....that's part of the beauty of the material. Anyone familiar with the culture will recognize how closely this music mirrors the region itself. Years later all I need to do is put this album on, close my eyes, and I'm transported back to the rural reality, beauty, simplicity and complexity of South Africa. Unless you've lived....understand it....and have a basis for critique....your opinion of "professionalism" matters very little indeed.